The Bloch-Bauers were a successful cosmopolitan Viennese family whose house formed a salon where one might meet Dr Freud or Arnold Schoenberg. Gustav Klimt painted a portrait of Adele, the celebrated Woman In Gold, but this was confiscated by the Nazis along with many other works of art. After the war the painting hung for decades in the Belvedere Gallery until Adele's niece Maria sued the Austrian government for its return. Dispute instituting a restitution committee, the government was understandably reluctant to give up paintings which had, by then, become synonymous with Austrian culture. The process was thus one that was obdurate and highly contested. The resulting film is a timid and straightforward account of this legal process, with Helen Mirren playing Maria Altmann and Ryan Reynolds her lawyer. Her performance is weak - a series of physical mannerisms and a German rather than Austrian accent that often falls back into English. As for Ryan Reynolds and Katie Holmes as his wife, they are given precious little to do. There are cheap montages of Reynolds looking earnest as he scans legal documents, and one emotional pay-off that doesn't really work. Everything about Simon Curtis' direction is workmanlike at best. The only place the film comes alive is in the flashback scenes to pre-war Vienna. Here the production and costume design are fantastic and really bring alive the glittering intellectually vivid period. Anje Traue makes a beautiful Aunt Adele and one longs to linger in her salon. As we move into the period of the Nazi Anschluss of Austria, Tatiana Maslany (Orphan Black) is highly sympathetic as the young newly married Maria, and forms the true heart of the story. We are given, then, a very uneven film. But for all that, it does at least highlight the deep conflict in contemporary Austrian society about their record during the war. For decades, Austria fashioned a narrative of being the "first victim" of Hitler but the truth is clearly darker and more complex. The screenwriters do at least show some of that conflict, embodied in the character of Daniel Bruehl's journalist Hubertus Czernin, but it's too little explored. 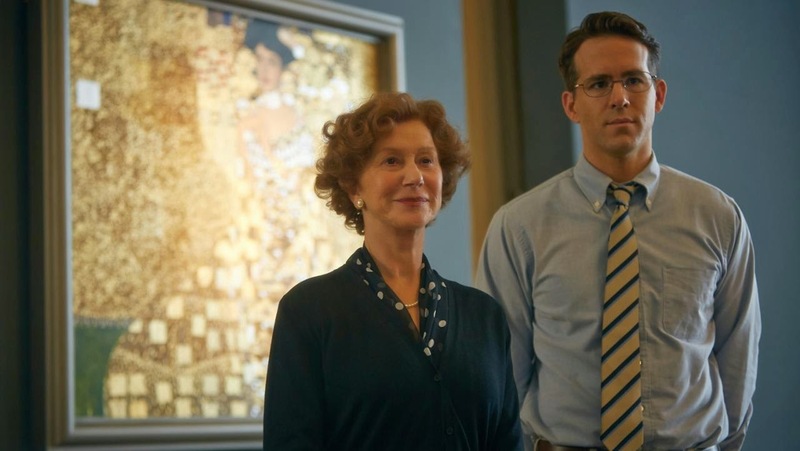 WOMAN IN GOLD played Berlin 2015 and is currently on release in the USA, Israel, Canada, Spain, the UK and Ireland. It opens on April 30th in Greece, on May 28th in the Netherlands, on May 31st in Brazil, in Germany and Croatia on June 4th and in Chile on June 11th.